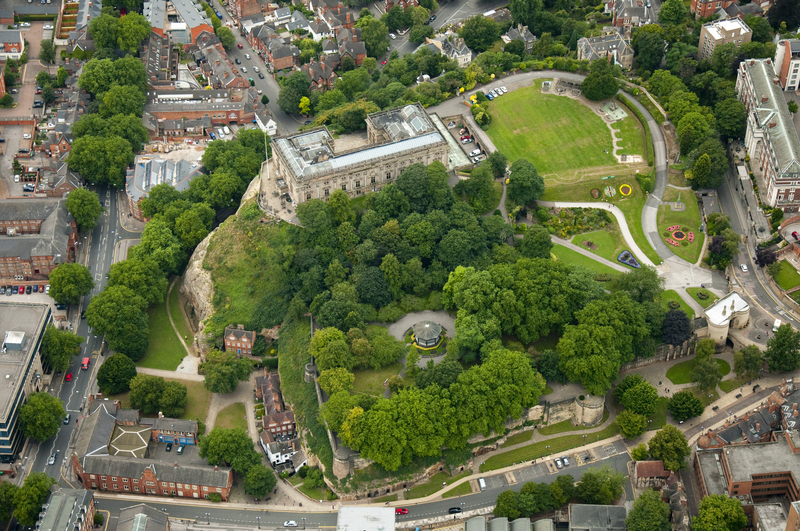 Nottingham's most famous inhabitant, the tyrannical sheriff, is remembered as the foe of Robin Hood, that plucky hero who stole from the rich to give to the poor—but learning about him is just one of the many things to do in Nottingham. 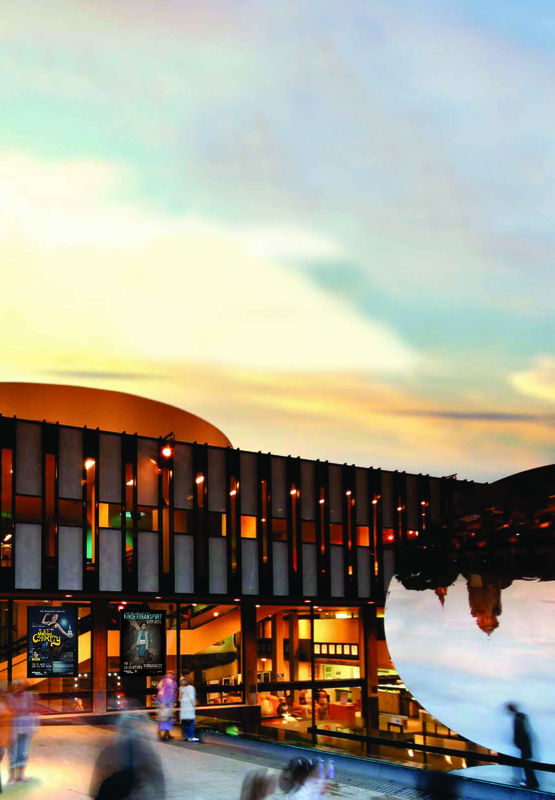 Luckily, the charms of modern day Nottingham are not reserved only for the wealthy. 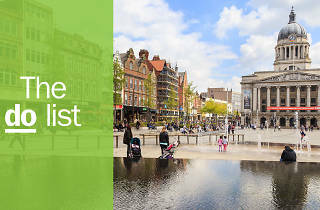 Whatever your budget—whether you’re a fresher at one of city’s two universities or a tourist looking to spend some hard-earned cash—there’s plenty of fun activities to do in this city in England. 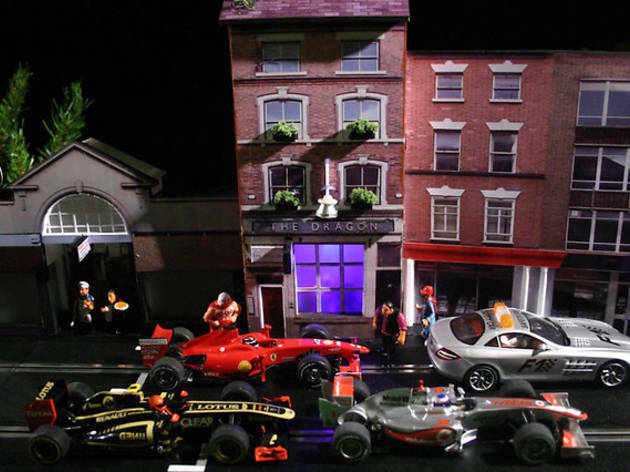 History boffins can learn about lace-making and the castle, art fans can explore the Nottingham Contemporary, foodies can check out the restaurant scene, and speed fiends can battle their mates over a few beers at a Scalextric track for (almost) grown-ups. What is it? An underground network of 500 sandstone caves concealed under the streets of Nottingham. Why go? Broadmarsh shopping centre doesn’t sound like it’s going to be the entrance point to a concealed world. But a bit like Platform 9 ¾, that’s exactly where you access Nottingham’s City of Caves. 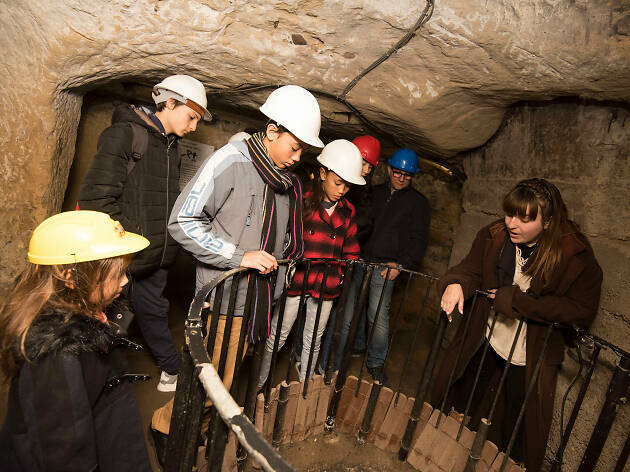 Owned by the National Justice Museum, visitors can tour the caves, seeing a medieval tannery, a WWII air raid shelter and much more along the way. What is it? The ruins of a castle with a long history, perched upon an impressive lump of rock containing caves. Why go? 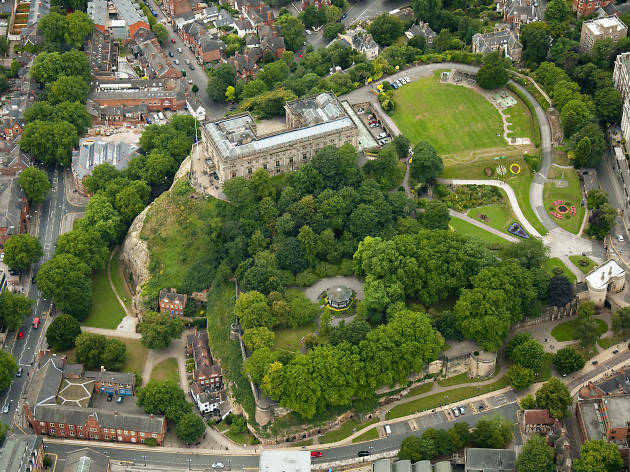 Nottingham Castle has a troubled history. 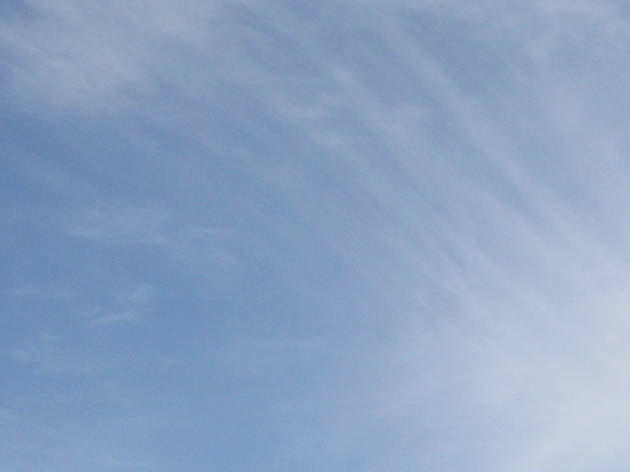 It starts in the Middle Ages, when a grand fortress stood on the site. That was then demolished, and replaced by a mansion (also demolished), followed by the Ducal Mansion you can now see here. In 2020, the castle will fully reopen following massive renovations. However, if you're around the area before then, handily located in the caves under the castle is Ye Olde Trip to Jerusalem, a pub that claims to be the oldest inn in all of England. What is it? Lace Market contemporary art gallery where you can browse exhibitions or watch films. Why go? 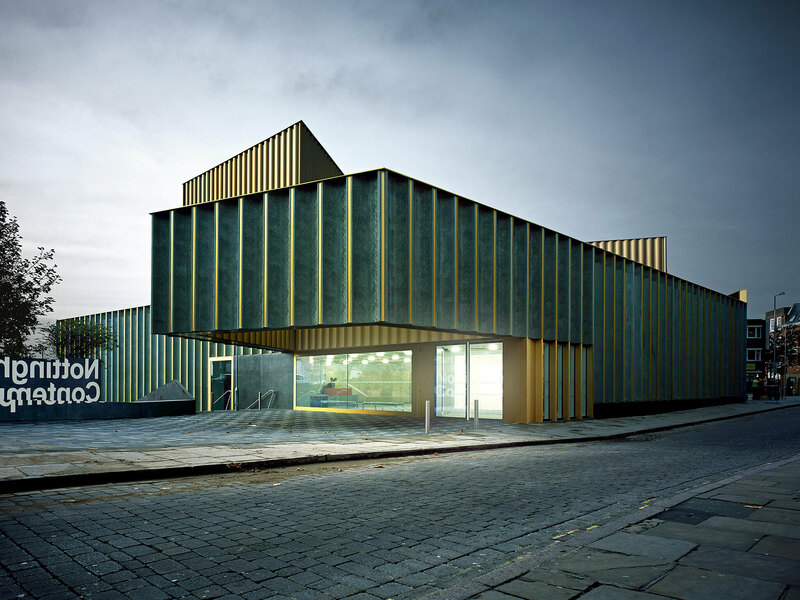 The Nottingham Contemporary opened in 2009 and it's one of those venues people should visit for the building alone. Located in the Lace Market area of the city (and built on a very very old site), the outside of the building is decorated in a traditional Nottingham lace pattern. Inside, the same attention to detail remains, with a changing programme of exhibitions, plus screenings of classic and art house films. What is it? Local theatre with a strong national reputation programming and producing quality shows. Why go? If you’ve lived in Nottingham any time at all, but have not checked out the excellent venue right on your doorstep, then now is your chance. The Playhouse produces a brilliant range of new and classic plays and musicals, plus it schedules comedy, spoken word poetry, dance and family shows. What is it? Independent cinema in Hockley, that’s loved by the locals. Why go? 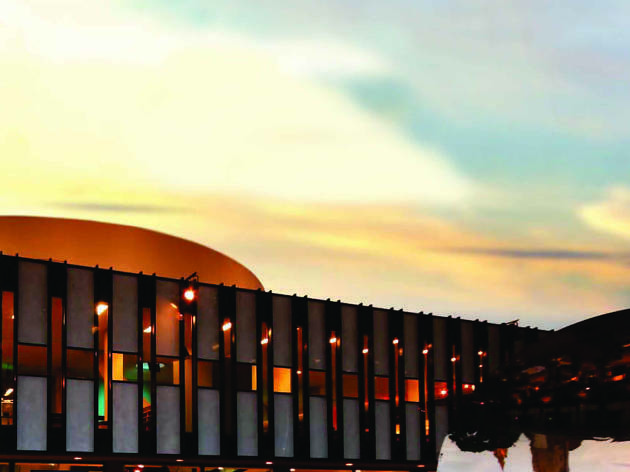 Adding a cinema trip into your city site-seeing holiday might sound counterproductive, but Nottingham’s Broadway Cinema is such a little gem of a venue you’d be genuinely sorry to miss it. 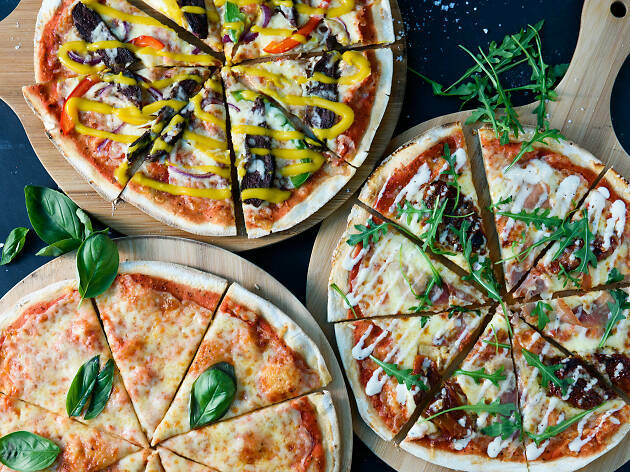 Book tickets and arrive early for a stone baked pizza and a beer in their cafebar. What is it? A beautiful area of countryside where you can head out on a brisk walk, or hideaway on the lookout for birds. Why go? 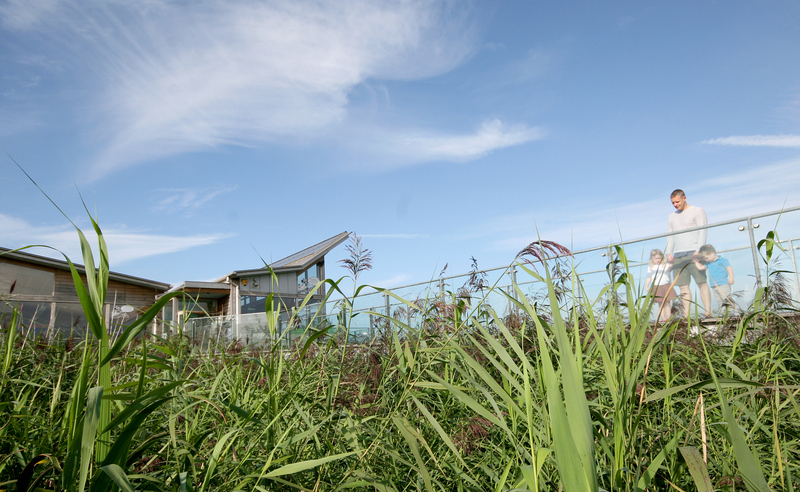 You might think bird watching sounds like a bit of rubbish way to pass the weekend, but like the programmes made by Attenborough himself, the nature reserve sharing his name (actually named after the local area) is fascinating. Lock yourself away in one of the hides, or get up close feeding wildlife. Either way, you’ll leave feeling recharged and better equipped to deal with any office-based stress. What is it? 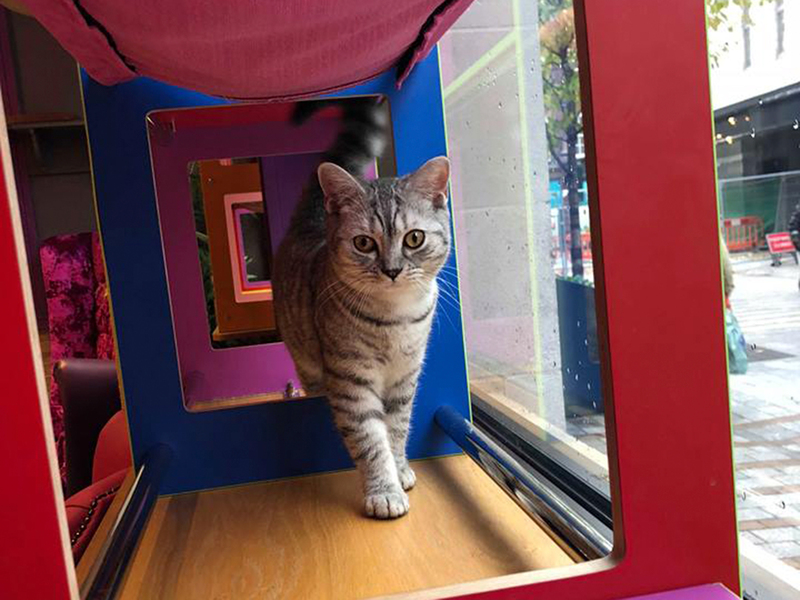 A cat café where you can get your paws on a slice of purr-fect cake whilst thinking up better puns than that one. Why go? If you like your cappuccino served with a kitten on the side, then a trip to Nottingham’s Kitty Café should be on your list. Along with giving you the chance to get stroking some lovely kitties, they also do a cat-themed mocktail menu. Anyone for another Catty McCat Face? What is it? A giant Scalextric track in the backroom of a pub that you can book in advance for parties of any kind. Making car noises throughout the evening is almost certainly compulsory. Why go? Your head tells you to book somewhere ‘classy’ for cocktails, but your heart says: no, I’d rather race a very small car around a huge Scalextric track. 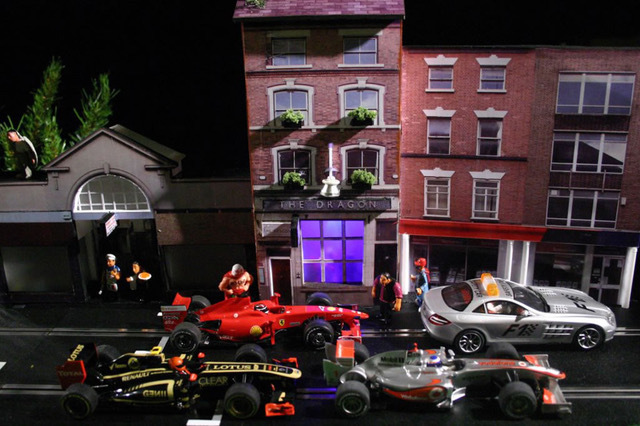 Book into The Racing Room at The Dragon and have a ridiculous amount of fun competing with your mates. You can also book in advance to get food prepared for the hungry racers. What is it? 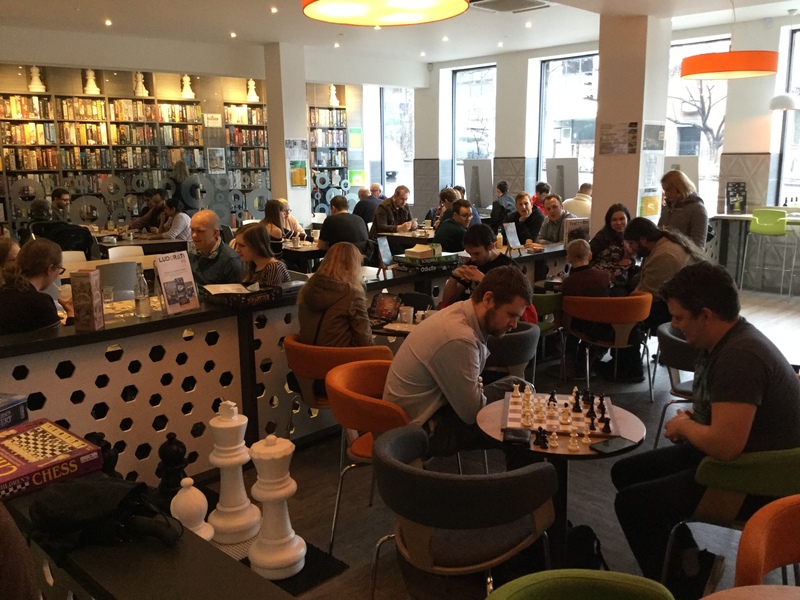 A board game and escape room café that caters to the needs of serious board gamers and the more casual Cluedo fan. Why go? You’ve already been to The Racing Room and, frankly, there’s unfinished business between you and the people you went with. So what do you do? Shake hands and make nice? Or book into the Ludorati and feed the dragon of competitive fury. Ludorati takes games seriously and, most likely, so will you after a trip here. Hungry for the city's finest eats? The food scene here is diverse, with plenty of budget DIY spots and a focus on unpretentiously good, fresh ingredients. 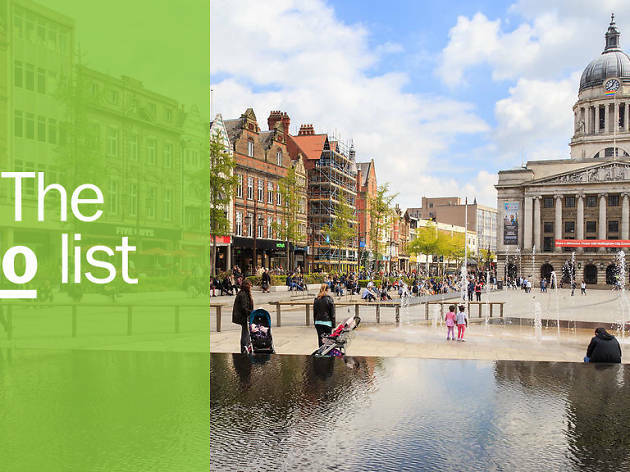 From fat patties to bottle shops to a seven-course tasting menu served up beside the A52 flyover – it’s all here. 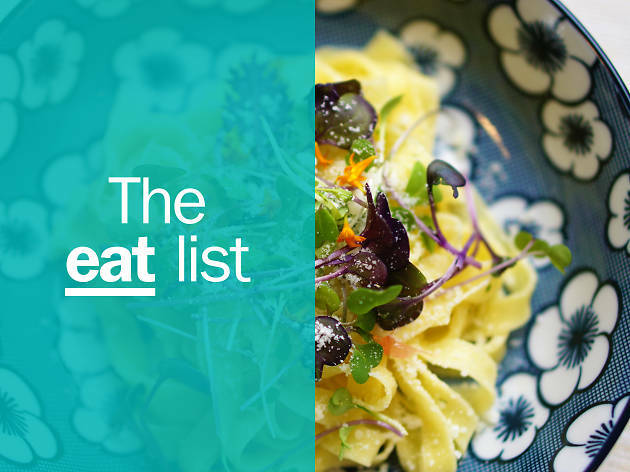 Get stuck in at the best restaurants in Nottingham.